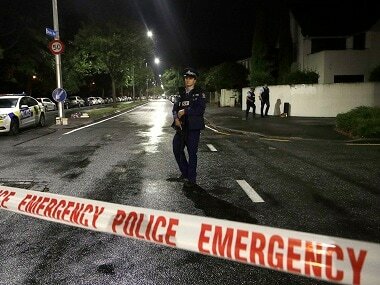 Christchurch: New Zealand Prime Minister Jacinda Ardern vowed Tuesday never to utter the name of the twin-mosque gunman as she opened a sombre session of parliament with an evocative as salaam alaikum message of peace to Muslims. 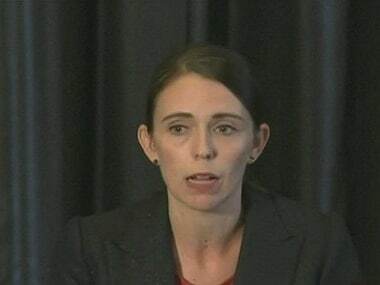 "He will face the full force of the law in New Zealand," Ardern promised grieving Kiwis, while promising that she would deprive the man who slaughtered 50 people in Christchurch of the publicity he craved. "Wa alaikum salaam wa rahmatullahi wa barakatuh" she said. It translates to, "May the peace, mercy, and blessings of Allah be with you too." The slow process of identification and forensic documentation has so far made burials impossible, augmenting families' grief. Javed Dadabhai, who travelled from Auckland to help bury his cousin, said families and volunteers were told: "it is going to be a very slow process, a very thorough process". "Some families have been invited to have a look at their family members... the ones that are easiest to recognise, but we are talking about three or four." The tweet drew a barrage of derogatory messages to his Facebook account, most apparently from the US, where the pro-gun lobby is powerful and vociferous. "I'm not familiar with your local customs, but I assume 'Cuck' is a traditional greeting," he said of the insult, short for "cuckold" frequently used by far-right pundits.